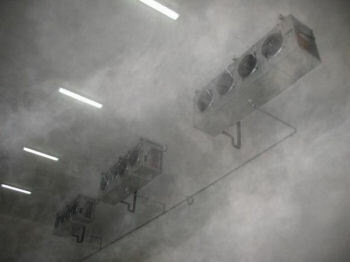 The air system is the key element of a cleanroom to ensure the correct environmental grade is maintained. Precision Cleanrooms Ltd. can design and deliver a first class air conditioning system for your cleanroom designed to meet your specific needs and based on the most energy efficient equipment. We have extensive experience with designing bespoke cleanroom air systems to match a wide range of customer needs. Our air systems can include purpose built control systems to ensure all necessary environmental conditions are consistently met and, independent, validated monitoring systems to display and record all conditions. We can also offer a full service and maintenance programme to maximise performance and minimise unplanned downtime. At Precision Cleanrooms Ltd. we are highly experienced in the design of cleanrooms, laboratories and close control facilities, from simple refurbishments to major new builds. Our cleanrooms are designed to be simple, reliable and to meet the international cleanroom standard ISO 14644: Cleanrooms and associated controlled environments, and other relevant BS and ISO standards. Good design is at the heart of a well engineered facility and by involving us early in the design phase we can work with you on the user requirement specification to ensure that the facility meets all your needs. Precision Cleanrooms Ltd. can provide a turnkey solution by means of excellent project management throughout the phases of the project. This can include full AutoCAD design, submitting necessary applications, liaising with building controls and regulatory bodies then, dedicated site management through construction, prior to commissioning of the facility and subsequent validation. 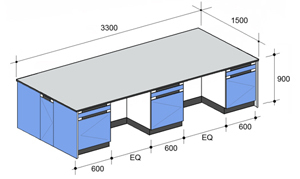 Precision Cleanrooms Ltd. can design and build a cold store to suit your needs, from small units to larger walk-in cold stores. 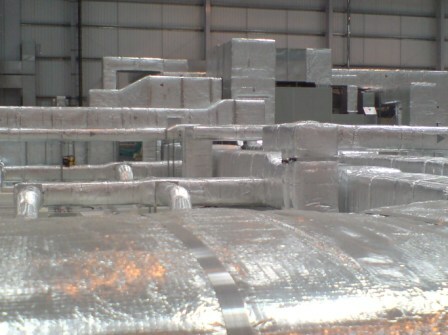 Cold stores typically operate between temperatures of 0°C to 5°C with a tolerance of +/-1°C. They are normally manufactured from composite panels consisting of an insulated polyurethane foam-core, faced with plastic coated galvanised steel. Alternative core materials can be supplied if required. Floors, walls, doors and ceilings are designed, finished and sealed to be hygienic and easy to clean and maintain. Cold stores can be supplied with packaged chiller units which can include duty and standby systems for automatic change over in the event of unit failure. Standby systems also allow replacement or maintenance of components whilst ensuring environmental control is maintained. Cold stores can be provided with documented commissioning and testing. Maintenance, recalibration and revalidation services after the initial installation are also available. Precision Cleanrooms provides a complete refurbishment service to upgrade and/or adapt an existing cleanroom facility. Refurbishment services from precision cleanrooms include finishes (wall fabrics, flooring and ceilings), air conditioning, rewiring, lighting, replacement walls and ceiling, structurally isolated floors, doors and windows. Precision Cleanrooms offers a complete advice and design service for upgrading and/or adaptation of existing cleanroom facilities to bring them into line with current standards. Precision cleanrooms also specialise in the refurbishment of cleanroom facilities not originally built by PCR. Our in-house design team will conduct a complete review of the existing facility and make recommendations that will satisfy specific customer requirements. Precision cleanrooms range of wall, ceiling and floor finishes will create a functional and long-life interior. Air handling and conditioning systems can be installed, and any existing air handling and conditioning systems serviced and upgraded. Replacing existing doors with new clean room, DDA and / or fire doors can significantly improve the performance of the facility. Contact our team to request a free no-obligation site survey of your existing cleanroom facility. 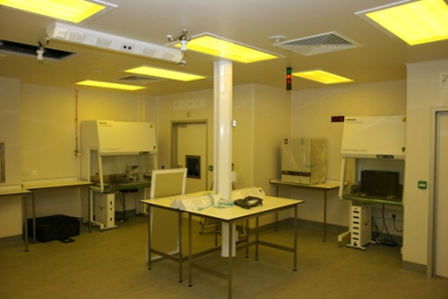 We provide a full Laboratory and Cleanroom Design service. Almost all of our work is carried out on a design & build basis. It is stating the obvious but this works better when you have good designers and good project managers who can deliver the good design on time and to budget. Precision has both of these in abundance and lots of delighted customers willing to testify to that. One of the benefits of design & build is that the client has access to the designer and the builder. With traditional design team projects this does not happen. Precision understand that the development of cleanrooms demands the close co-ordination of building and engineering disciplines, with an understanding of the process requirements that will be conducted within the cleanroom. A successful project delivery requires the application of multi-disciplinary skills and an appropriate selection of plant, equipment and cleanroom facility materials. At Precision we work as an integral part of the client’s team from project conception to completion, providing valuable technical and engineering continuity through design and construction to qualification and facility validation. Our compliance program will provide your clean room or laboratory with comprehensive and full support for implementing regulatory documentation for design qualification (DQ), installation qualification (IQ) and operation qualification (OQ), which verify your system's performance for regulatory agencies and your clients. PCR's Service Engineers are a team of highly skilled professionals in the repair and maintenance of a wide range of environmentally controlled systems. These systems do not have to be specifically designed by our own project team. Once your facility is up and running we can provide all your maintenance requirements, we can take care of your air conditioning and HVAC systems as well as maintenance of all types of cleanroom and laboratories, in optional 1year, 3 year and 5 year contractual agreements. PCR is glad to welcome James Killingbeck to the fold as mechanical and electrical site engineer. James has a Master's Degree in engineering from Loughborough University.